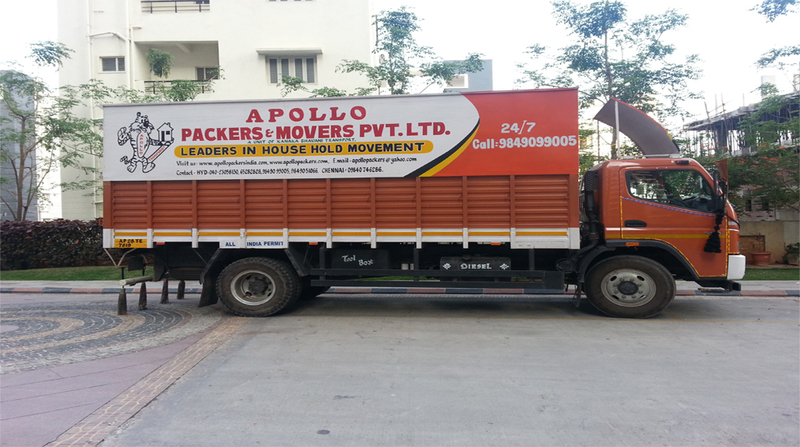 Apollo Packers & Movers is a professional team of workers, has been in this field for the past 12 years. We have been shifting house hold goods more safely, reliable and at affordable cost. We have branches almost all over India. With storage facility and with our own fleet of vehicles, to ensure safe delivery and guarantee storage availability.On one phone call our marketing executive will visit your place, give the quotation and on the conformation, our supervisor accompanied by team of packers, will come and pack your items in corrugated sheet, with stretch film, polythene, wooden crates item wise, lift the consignment properly marked and prepare a list of items. 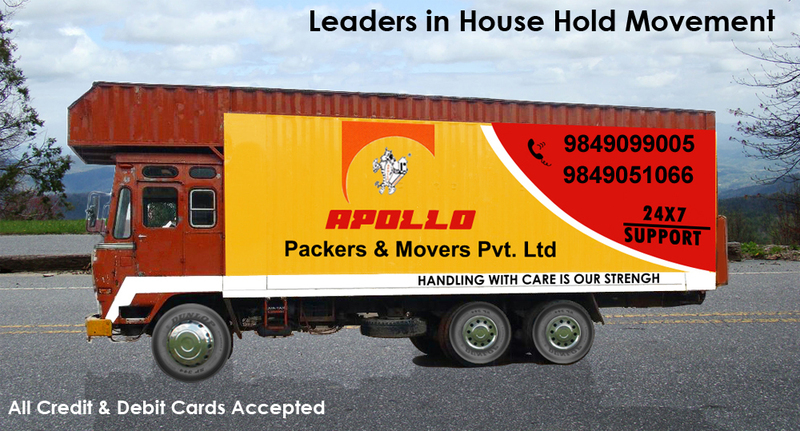 We take the opportunity in introducing ourselves as one of the best and leading packers and movers in India. Feeling time stressed shifting? Our "Order Online" solves your Problem. Please take some time to fill the below and click the submit button. Please, do not leave any of the rquired fields blank. 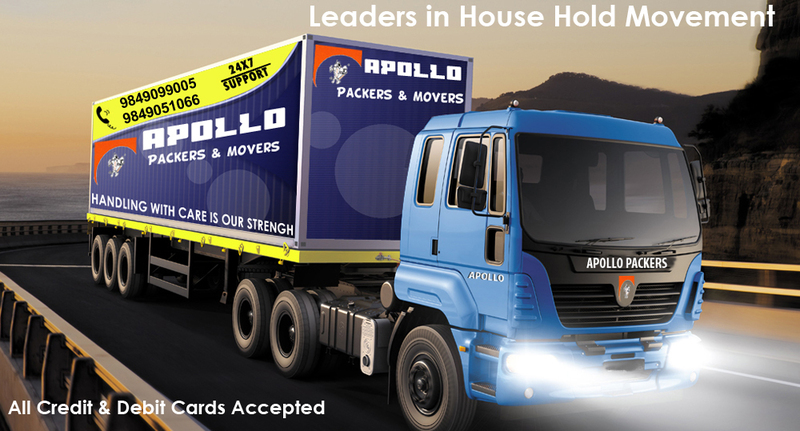 Your Apollo Packers & Movers consultant at the branch nearest to you will contact you as soon as possible. Most of the Natiolized Banks are Utilizing Our Services and has given customer satisfactory also. The company also insures your goods duly charging nominal rates. The insurance will be calculated on the value of the goods. We have specialized in Transportation of Household Goods as well as Commercial Material and Car Transportation in India. 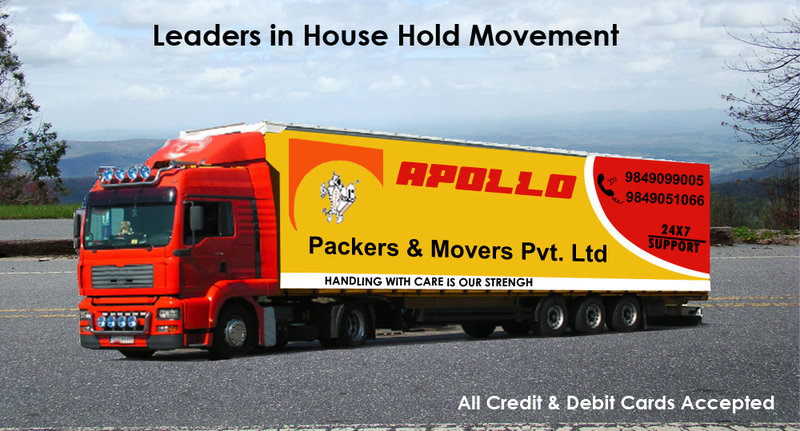 Copyright © 2010 Apollo Packers & Movers Pvt.Ltd. All Rights Reserved.